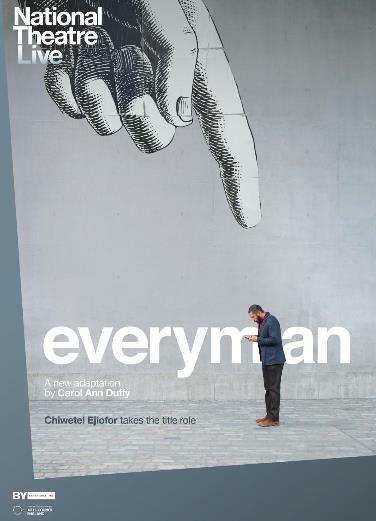 BAFTA winner and Academy Award® nominee Chiwetel Ejiofor (12 Years a Slave) takes the title role in this dynamic new production of one of English drama’s oldest plays, directed by the National Theatre’s new Director Rufus Norris (Broken, London Road). Everyman is successful, popular and riding high when Death comes calling. He is forced to abandon the life he has built and embark on a last, frantic search to recruit a friend, anyone, to speak in his defence. But Death is close behind, and time is running out. One of the great primal, spiritual myths, Everyman asks whether it is only in death that we can understand our lives. A cornerstone of English drama since the 15th century, it now explodes onto the stage in a startling production with words by Carol Ann Duffy, Poet Laureate, and movement by Javier De Frutos.